Concrete is one of the toughest materials there is, so it is easy to forget why sealing it is so important. As a Charlottesville homeowner though, you want to take the best possible care of your house, and every aspect of it. 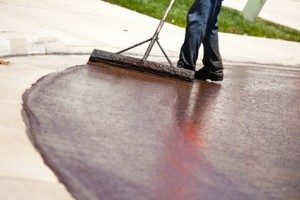 So, if you do not already have your concrete surfaces sealed, you are putting them at risk. At the very least, this is a vital step in keeping your concrete looking its very best. In order to make the right choices for your home, it is wise to find out more about this service, and how it can benefit you. As strong as concrete is, it does take a great deal of wear and tear. In fact, form the moment concrete is laid, it is subject to corrosion. The more use or exposure to the elements it is subjected to, the more at risk it is. For starters, this does improve the overall appearance which, as a result, enhances the curb appeal. This service will also increase the property value of your home, making it a wise financial investment. Sealant is what helps make concrete resistant to both mold and mildew. It enhances the performance and longevity of your concrete surfaces. This is a great way to protect your concrete from stains from substances like oil and grease. Of course, what matters most is that you select the right industry expert to execute the task for you. Settle for shoddy workmanship and you are no better off. 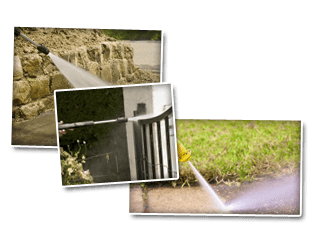 Here at Cavalier Window Cleaning & Power Washing, we take great pride in providing our clients with the best quality of service. This includes making sure that they are able to take good care of their homes, such as with concrete sealing. We can help you maintain and prolong your concrete, with this professional service.